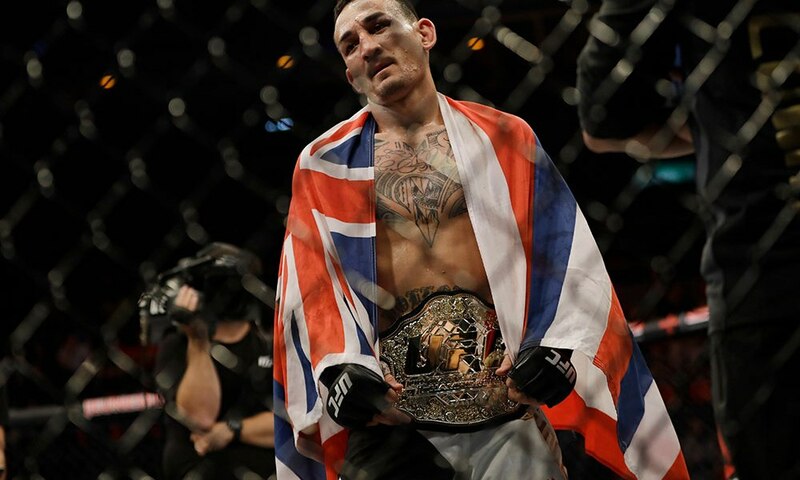 Max Holloway defeated Brian Ortega via TKO to retain the UFC featherweight championship in the main event at UFC 231. Ortega was unable to continue after the fourth round and the fight was stopped due to doctor’s stoppage. Holloway is now riding a thirteen-fight win streak. In the co-main event, Valentina Shevchenko became the new UFC flyweight champion by defeating former strawweight queen Joanna Jedrzejczyk via unanimous decision. The flyweight title was recently vacated by inaugural champion Nicco Montaño. Max Holloway def. Brian Ortega via TKO (Doctor's Stoppage) at 5:00 of Round 4. Valentina Shevchenko def. Joanna Jedrzejczyk via Unanimous Decision (49-46 x3). Gunnar Nelson def. Alex Oliveira via Submission (Rear-Naked Choke) at 4:17 of Round 2. Hakeem Dawodu def. Kyle Bochniak via Split Decision (28-29, 30-27 x2). Thiago Santos def. Jimi Manuwa via KO (Punches) at 0:41 of Round 2. Gilbert Burns def. Olivier Aubin-Mercier via Unanimous Decision (30-27 x2, 29-28). Jessica Eye def. Katlyn Chookagian via Split Decision (29-28, 28-29, 29-28). Elias Theodorou def. Eryk Anders via Split Decision (29-28, 28-29, 29-28). Brad Katona def. Matthew Lopez via Unanimous Decision (30-27, 29-28 x2). Dhiego Lima def. Chad Laprise via KO (Punch) at 1:37 of Round 1. Diego Ferreira def. Kyle Nelson via TKO (Strikes) at 1:23 of Round 2. Aleksandar Rakic def. Devin Clark via TKO (Strikes) at 4:05 of Round 1.